After a day of play and adventure the time comes to be cleaned up. For many children it is the worst time of the day. Maybe it’s because they know that its getting close to bedtime hour or maybe they just don't like getting wet. As parents we must ensure that we bring our children up knowing the importance of hygiene. This requires keeping them clean either by giving them a bath or shower. A bath seems to be the number one choice when it comes to toddlers and preschool age children. In these early years it can be very difficult for children to understand your reasoning. This is where as parents we have to get on our thinking caps and come up with creative and fun ways to entertain our little ones while they are having a bath. Here are some bath ideas that will help to encourage children to jump on in. 1. Bath toys. 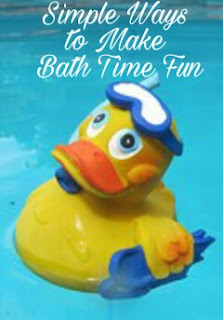 A few ordinary rubber squirter duckies and other rubber squirter toys will add some fun to plain bath water. 2. Water balloons. Fill balloons with colored water. Let your child play with the balloons and pop them to see what color is inside. 3. Colored ice cubes fishing. Give your child a small net or mesh strainer and let them fish the ice. Encourage them to hurry and catch all before they melt. 4. Float or sink. grab different waterproof toys or other objects from around the house and guess whether they'll sink or float in the tub. 6. Plastic containers. Let them fill cups, bowls, and containers with water and the pour it out over themselves. 7. Water guns or spray bottles. For extra fun fill with colored water. 8. Bath salts. A great sensory and smell activity. They feel like sand and kids can mix and match them. 9. Bubbles. Playing with bubbles is a silly, fun way to get clean. Be sure you add a couple extra caps of bubble bath so that there are plenty of suds to play with. 10. Surprise ice cubes. Freeze little toys inside ice cubes and watch the kids excitement as the ice melts and reveals their little toy! 11. Throw a pool party. Let them wear bathing suits or swimming trunks. Fill an inflatable pool and add some inflatable toys beach ball, and let them have a special tropical juice drink. 12. Treasure hunt. Find some items around the home that will sink to the bottom of the bath tub. Let your child wear goggles and use sight to find the different items. Do you have children who hate having bath or shower? 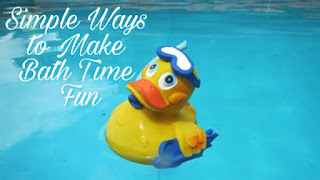 How do you make bath time more fun and enjoyable for them?